Offering you a complete choice of products which include retail erp software. Retail365Cloud a smooth solution when it comes to billing and is a leading billing software solution in the industry. 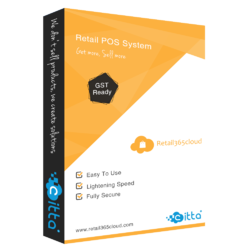 Retail365Cloud has a wide feature list and its billing capabilities have helped many businesses to manage customer queues in an efficient manner. Packaging Details: Multi-store & franchise management,inventory management,purchase & supply management,real-time analytics and reports,customer relationship and analytics,Pre-paid / Post-paid & gift cards,sales promotions,Easy Business Management, Online Monitoring, Increase in sales by 20-30%, MSI Reports, Stock Control, Expenses Record, Cost and Time Saving, Administration control.